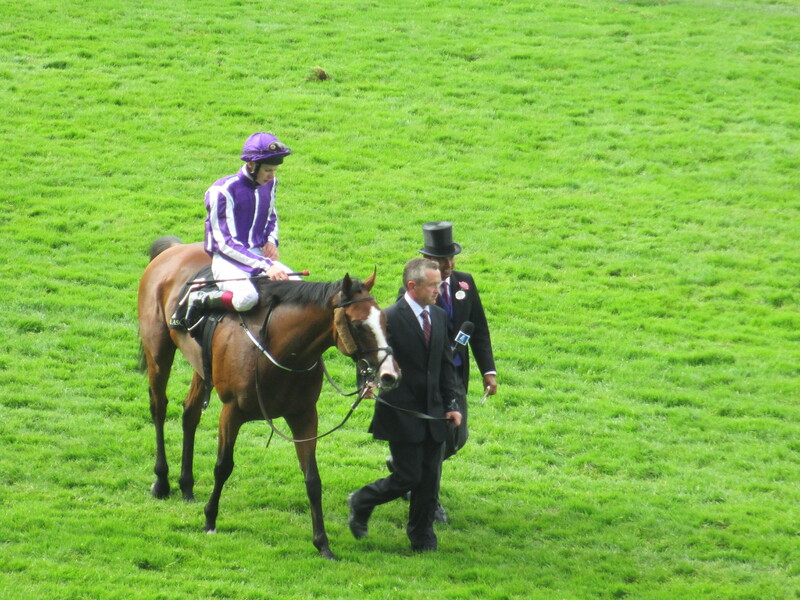 Leading Light and Joseph O’Brien at Ascot after winning the Gold Cup at Ascot on Ladies’ Day. Leading Light beat The Queen’s horse Estimate by a neck in a thrilling finish to the Gold Cup on Ladies’ Day at Royal Ascot that was contested in front of a bumper crowd of 65,419. The winner tracked the leaders for the bulk of the two and a half mile journey before knuckling down to fight it out with 2013 Gold Cup winner Estimate and Missunited, who finished a short head back in third. The success was the first at this distance for Leading Light who last year won the Queen’s Vase at Ascot before going on to win the Ladbrokes St Leger. “We were worried about the two and a half miles even though he had won over two miles here last year,” trainer Aidan O’Brien admitted. “Once you go beyond two miles, you don’t know what is going to happen. “Joseph saved him as much as he could, taking nothing out of him to get a position. “It was a long last furlong. Leading Light came off the bridle turning in and he had a good bit to go then. I am delighted he put his head in front. Jockey Joseph O’Brien added: “When you win, it’s a good ride. They say that there is no such thing as a bad winning ride. When you have a tough horse on your side it’s easier. “Ryan [Moore on Estimate] was looking for a bit of room, as he was well entitled to, and I was well entitled to keep the room I had. “When I got to the front, my horse had a little look and he just wandered a little bit left, probably because he was getting tired. “I was rowing away on him but I had some left and I was trying to hold off using my whip for as long as I could. Ryan gave me a little help when he was on my inside by pushing me along a bit.